What’s a superheroine to do when her super soldier ex turns up alive after more than fifteen years? Lyndsey doesn’t have much time to walk down memory lane before she and Ian find themselves thrown together to investigate the mysterious deaths of ten young men in the Canadian wilderness. How do such seemingly normal, healthy men’s hearts just…stop? With the hint of an evil spirit in the wind–and a whole lot of butterflies–there’s no telling what Lyndsey and Ian are dealing with, including their own extensive baggage. Though seventeen years is a lot of life to live, there’s one thing they can’t deny: their attraction is as intense as ever. But is it just a spark that will burn itself out, or is it true love bringing them back together? When the force they’re hunting turns its sights on them, the leap of faith required far exceeds either of their powers. But worrying about their future might be premature because one wrong move and they might not make it out alive. In Book One of the Butterfly Ops trilogy, Lyndsey and Ian reconnect fifteen years after seeing each other for what each thought was the last time. That the spark is still there is undeniable—but is it enough to get past the secrets and lies that tore them apart the first time around? With old tensions rearing their heads as new challenges arise, what at first seems to be a sure path back to trust and happiness is rockier than it seems. Note: this is Book One in a serial trilogy. Book Two will be released in Spring 2019; Book Three will be released in early Summer 2019. Books should be read in order. What she should have been thinking about was spending three weeks in the woods with the next generation of the Army teams that had spent almost a year trying to kill her. Possibly even with some of the very same men, if Matt’s presence were any indication. That realization had used up all of five seconds of her mental energy, however. Army teams = men with guns who might still think of her as the enemy = she was going to have to watch her back even more so than in normal circumstances. Noted. Moving on. What she couldn’t get her mind off of, however, was Ian. Spending three weeks with Ian. Even if he wasn’t going to actually be out in the woods with her, she’d seen enough about how Matt had operated to know they’d be connected, possibly even around the clock for that whole time. Oh, God, she thought, sitting back in her seat. What if they really did end up on this job together for who knew how long? She had no idea how she’d manage to accomplish anything. It was all she could do right now not to openly stare. And it certainly wasn’t helping that—what was her name, Julianna?—was being totally flirty with Ian while talking about weapons, no less. If there was anything Lyndsey knew about Army guys, it was that they liked their toys. Not fair, Lyndsey thought, fighting the urge to glare. She couldn’t exactly get all WWE and jump on the table and be like, Weapons? You think you’re getting to him because you know the difference between a Glock and a, um, not-a-Glock? Well, check this out. My body is a weapon. If he’d stuck around he would’ve gotten to benefit from that fully. What he did see, though, he totally liked. So top that Miss Desk Job. Unfortunately, a somewhat irritated “Hmph” did slip out. A big believer in happily ever afters, Jen Doyle decided it was high time she started creating some. CALLING IT, her four-book baseball/contemporary romance/romantic comedy series, has been winning awards since its inception, the most recent being the 2017 Best Banter Contest for Calling It and a nomination for the 2017 Harlequin Hero of the Year for Called Out. She also wrote the acclaimed HANSONS OF ST. HELENA series of novellas in the St. Helena Vineyard Kindle World. 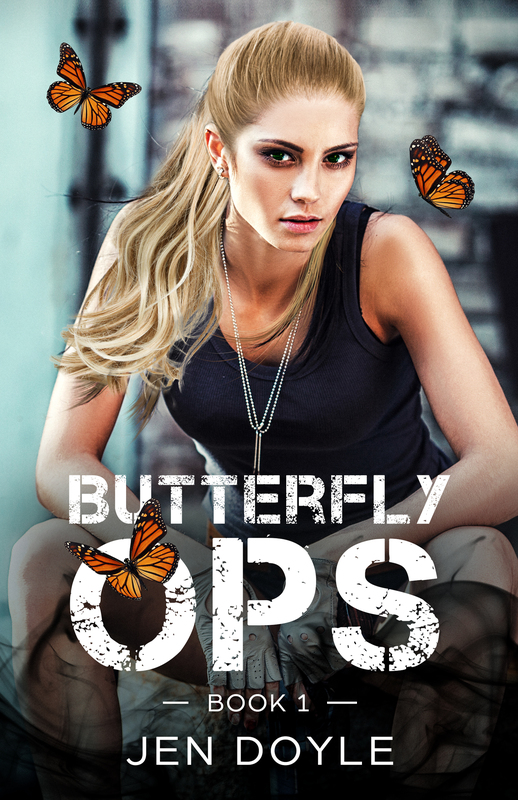 Butterfly Ops: Book One is the first installment of the BUTTERFLY OPS trilogy, an epic love story and her first in the paranormal realm. Jen has an M.S. in Library and Information Science and, in addition to her work as a librarian, has worked as a conference and events planner as well as an administrator in both preschool and higher education environments (although some might say that there is very little difference between the two; Jen has no comment regarding whether she is one of the “some”). 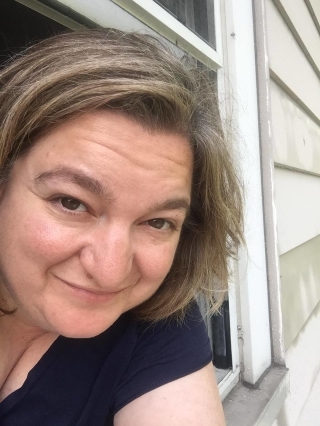 She is a member of the Romance Writers of America and is represented by Sarah E. Younger of the Nancy Yost Literary Agency. Posted in Adult, Amy, Contemporary, Fantasy, Release Blitz, Romance. Bookmark the permalink.